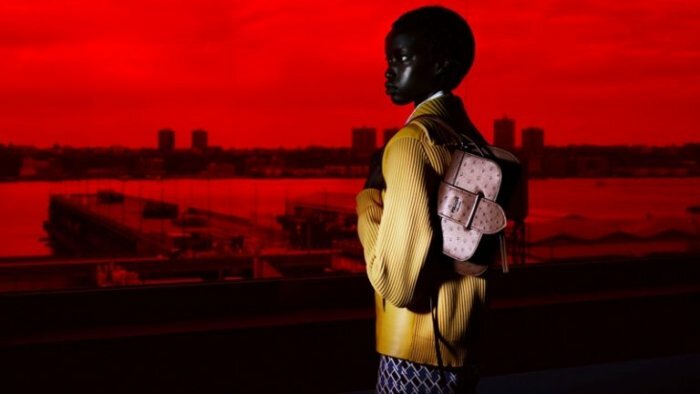 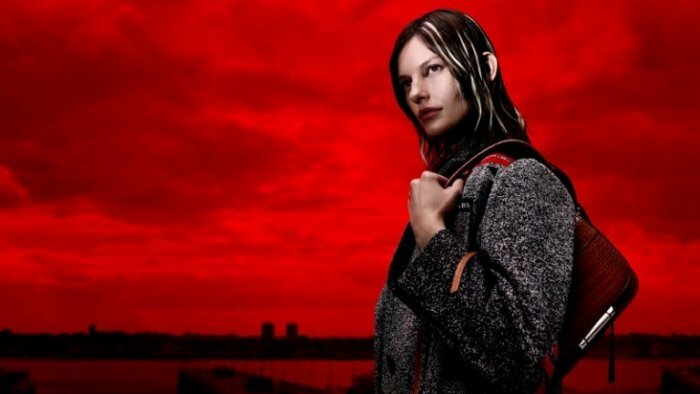 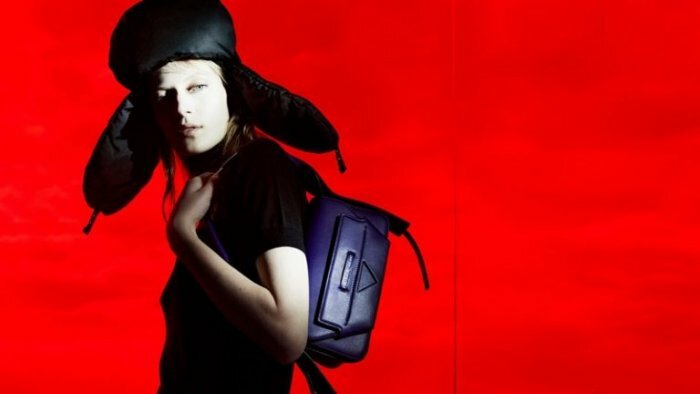 Prada offers another look at its resort 2019 collection with the launch of the ‘Augmented Sunset’ campaign. 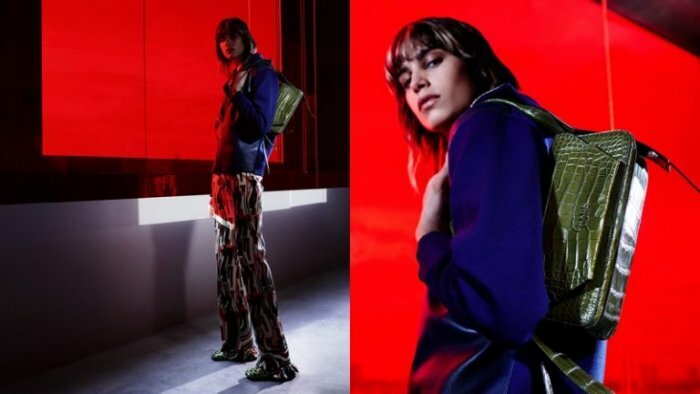 Captured by Willy Vanderperre, the images were shot on location at the Italian brand’s New York Headquarters. 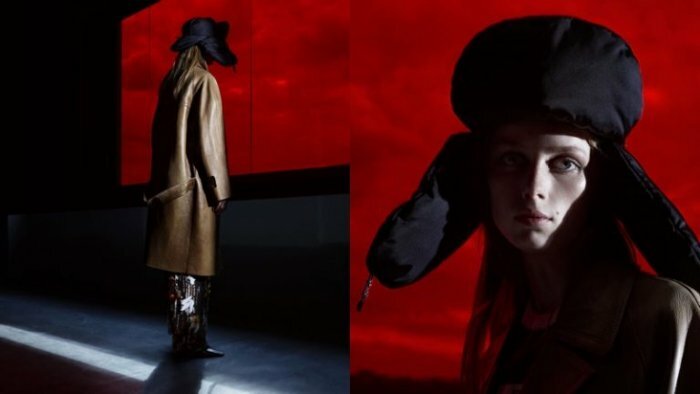 Walls of red plexiglass serve as a red sunset with models Kiki Willems, Anok Yai, Julia Nobis, Meghan Collison, Ariel Nicholson, Mica Argañaraz and Amanda Murphy. 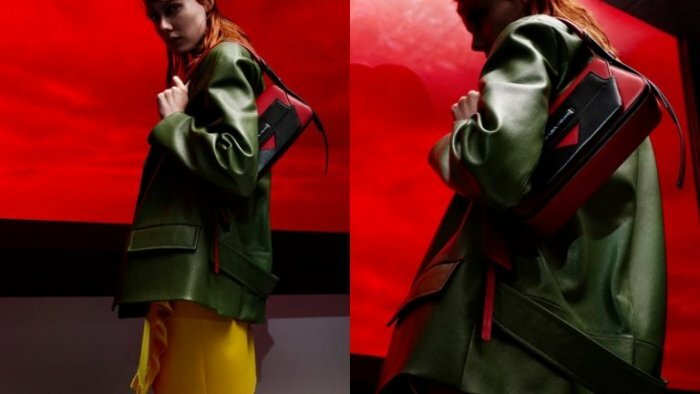 Styled by Olivier Rizzo, knit sweaters, leather handbags and vibrant hues round out the season.